The Neighborhood Data for Social Change (NDSC) platform is a project of the USC Price Center for Social Innovation. Lift To Rise is partnering with The Price Center in the development of the Neighborhood Data for Social Change (NDSC) platform for the Coachella Valley. Lift to Rise is a community-based partnership in the Coachella Valley with the primary goal of advancing a future where all Coachella Valley families are healthy, stable, and thriving. NDSC will publish an ongoing series of data stories that incorporate maps, data visualizations, photos, and rich narrative to highlight trends, opportunities, and challenges facing communities in the region. The State of California is facing a housing affordability crisis. As of 2017 ACS estimates, more renters in California are rent burdened (meaning they pay more than a third of their incomes on rent) and severely rent burdened (meaning they pay more than half of their incomes on rent) than any other state in the country. These households, many of whom are low income families or low-wage workers, are likely forced to make serious tradeoffs between rent and basic needs for themselves and their families. California’s housing crisis is a direct consequence of the statewide housing shortage. According to 2017 estimates, California ranks 49th out of the 50 states in housing supply with less than 360 housing units per 1000 people. By comparison, first ranking Maine has more than 550 units per 1000 people. Since the end of redevelopment agencies (RDAs) in 2011, the State of California has largely failed to deliver on affordable housing creation. Founded after the end of World War II, RDAs provided about $1 billion statewide for affordable housing creation each year. However, there was large variation in the effectiveness of different RDAs across the state, and they were shuttered amidst budget concerns during the Great Recession in 2011. California’s housing shortage is only partly due to the dissolution of redevelopment agencies (RDAs). Adverse permitting processes and insufficient land have also impeded the creation of housing. In the Coachella Valley, a region that is home to roughly 170,000 households, an average of just 38 affordable housing units have been built per year over the last three years. Like California as a whole, the Coachella Valley is faced with a serious housing crisis and an urgent demand for more affordable housing, as evidenced by the fact that more than half of renter households in the region – over 32,000 - are rent burdened as of 2017 ACS estimates (Learn more about the causes of rent burden in the Coachella Valley here). 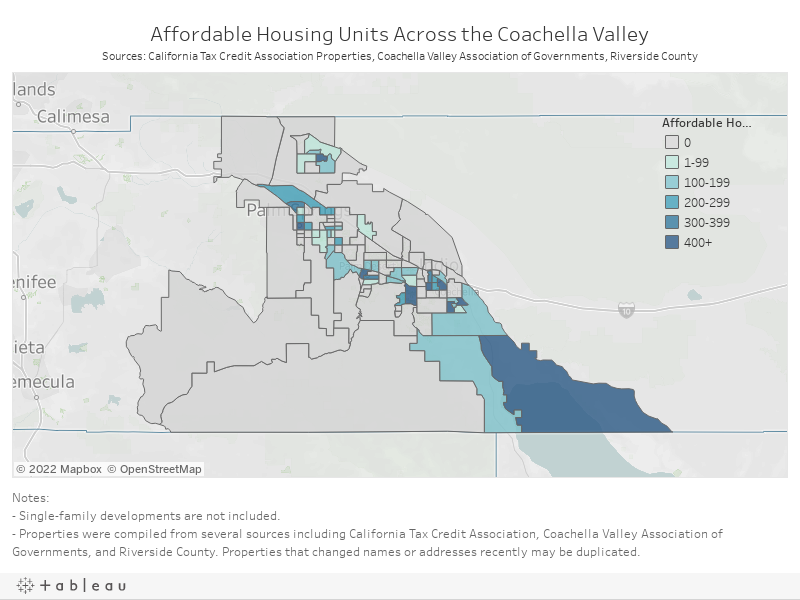 By comparison, approximately 11,000 units in the Coachella Valley are designated as affordable units, which are reserved for households below a certain income threshold who live in the units and pay no more than 30 percent of their incomes on mortgage or rent. Given the number of rent-burdened households in the area, more than 10,000 additional affordable housing units are needed to meet current demand. Further, according to the Coachella Valley Association of Governments (CVAG), the Coachella Valley’s total population is expected to more than double by 2035, which will only put additional stress on housing in the Valley. In recent years California has made great strides in promoting the production of affordable housing. Senate Bill 2, Proposition 1, and Proposition 2 for example, expedite the permitting process for the creation of affordable housing. Newly elected Governor, Gavin Newsom, has also made housing a state priority in California. In addition to designating $1.75 billion in new funding for housing production, the Governor has set out to build 3.5 million new housing units in California by 2025. However, statewide housing production will require more than just additional state funding. The state must address its restrictive zoning and permitting processes that hinder development. Even if California built out all the land currently zoned for housing, it would not achieve the state’s goals for new housing construction. According to initial findings in a report by UCLA, California does not have enough land allocated for housing. Therefore, any approach will have to wrestle with land and zoning restrictions, as well as slow permitting processes, in the creation of affordable housing. In order to meet the 2025 production goal, Governor Newsom is challenging cities across the state to meet their housing production targets. State policy requires that every jurisdiction is in compliance with their Regional Housing Needs Assessment (RHNA). The RHNA is a state-mandated process by which a city’s regional planning agency identifies a city’s housing needs across various income categories. As part of the general plan, a city's housing element plays an important role in the allocation of land and zoning to meet RHNA. However, even when cities plan for housing, it doesn't always translate into housing production. Under the Governor’s new policy, local governments who are not in compliance with California State Law can be penalized and might even find themselves in litigation with the State of California. Desert Hot Springs is one of 47 California cities whose housing element is out of compliance and does not meet the state's requirements. The RHNA mandates that by 2020, the city build 4,196 units - almost half of the housing units needed to house residents in the Coachella Valley. To date, the city has only permitted 43 of the 4,196 units. If Desert Hot Springs does not meet its targets, the remaining units will be added to the following planning cycle. For the city, this will put a strain on resources and make it even more difficult to meet projection targets. As for the Coachella Valley, asking Desert Hot Springs to take on almost half of the Valley’s housing needs brings to light the inherent flaws in the regional allocation of RHNA. In recent years, the population below the poverty threshold has been growing in Desert Hot Springs – rising from 29% in 2012 estimates to 37% in 2017. Additionally, residents lack close proximity to jobs and other amenities important to housing development. As of 2015 data, the area around Desert Hot Springs had just 88 jobs per 1,000 people compared to the Coachella Valley average of 305 per 1,000 people. Housing creation in low-income communities like Desert Hot Springs will further exacerbate the effects of concentrated poverty in the region. Lift to Rise is a community-based partnership in the Coachella Valley with the primary goal of advancing a future where all Coachella Valley families are healthy, stable, and thriving. In partnership with the Riverside County Economic Development Agency (EDA), Lift To Rise leads a cross-sectoral effort to provide long-term housing stability to all Coachella Valley residents. Together they have set an ambitious goal to reduce rent burden by 30 percent by the year 2028. In order to meet this goal, the Coachella Valley will have to produce nearly 10,000 units in 10 years. Achieving this goal will involve challenging the ways affordable housing is traditionally done. This work will be built out of Lift To Rise’s Housing Stability Collaborative Action Network (CAN)and will require identifying high opportunity areas for affordable housing development in the Coachella Valley. The creation of a pipeline of projects not only builds affordable housing at much faster rates, but also allows banks and funders to finance projects as a part of a larger plan that will make a sizable impact on the lives of many residents of the Coachella Valley.  To learn more about the housing work or the Connect Capital Initiative, visit Lift To Rise. Blount, Casey et al. Redevelopment Agencies in California: History, Benefits, Excesses, and Closure. U.S. Department of Housing and Urban Development, 2014. Dillon, Liam. California doesn’t have enough land set aside to meet Gov. Gavin Newsom’s housing goals, report says. Los Angeles Times, 2019. Dipierro, Amy. Desert Hot Springs mayor tells Gov. Newsom he wants to comply with state housing goals. Desert Sun, 2019. Lift To Rise. Housing Stability. Lift To Rise, 2019. Office of Governor Gavin Newsom. Governor Newsom Unveils Proposals to Tackle Housing Affordability Crisis. State of California, 2019. Wheeler’s Market Intelligence. Workforce Housing Availability and Affordability in the Coachella Valley. Coachella Valley Association of Governments, 2008.